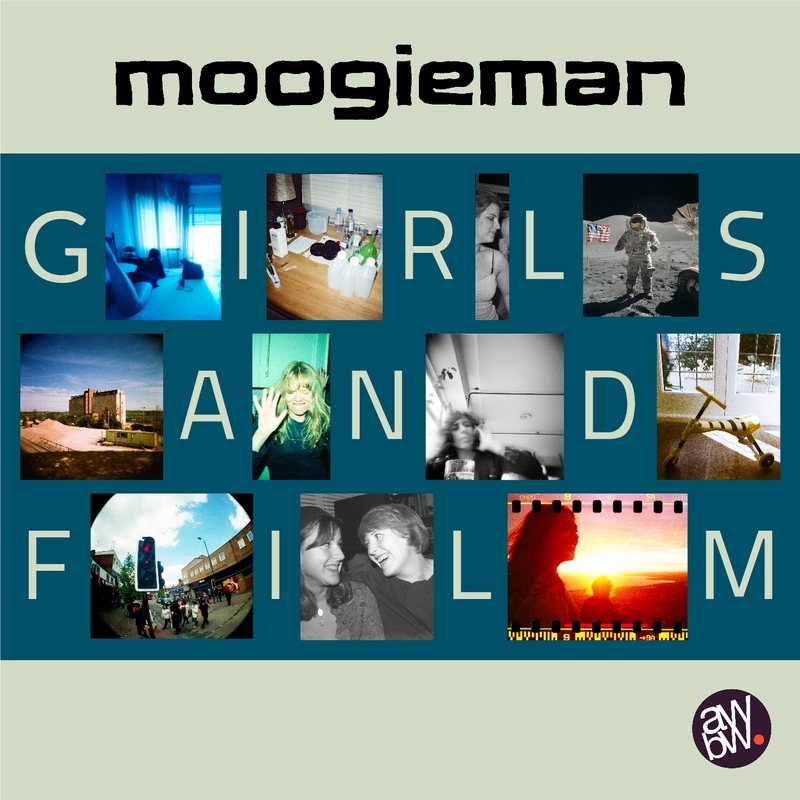 Containing 12.5% of the forthcoming Girls And Film Album – that’s 3 songs out of the planned 24, plus an extra track that isn’t related to photography – the new EP serves as an amuse bouche for those keen to get a taste of the new Moogieman sound. It’s available at Bandcamp or on CD. Copies will be on sale at the next gig: 15 October at the Library, 4pm for Oxjam. 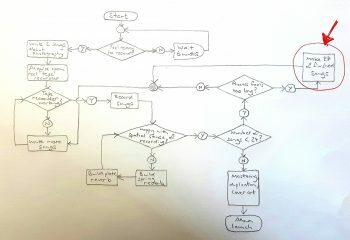 What to do when your album stalls? 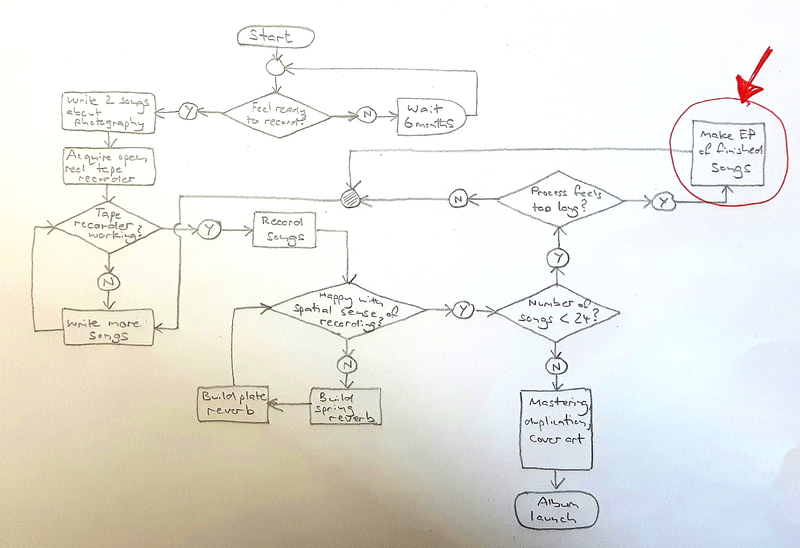 Flowchart showing the (convoluted) process of making the album Girls And Film. 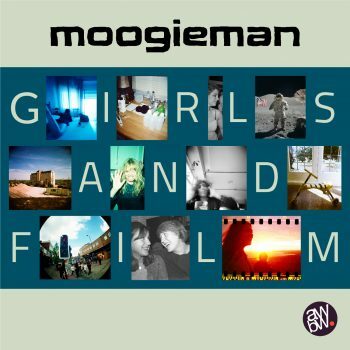 The new Moogieman Xmas single is here. Seasons greetings everyone! Final preparations are underway for the Klub Kakofanney gig at the Wheatsheaf on Friday 3 July. It has now become customary to play some new songs and feature a new instrument at each Moogieman And The Masochists gig and for this one we aim not to disappoint. We’ll be playing 3 new songs, using one new instrument and Vincent Lynch will be playing some guitar for the first time. To put the icing on the cake, advance copies of our new P.O.P. EP will be available on the night. Here’s one of the tracks, which will be played at the gig.